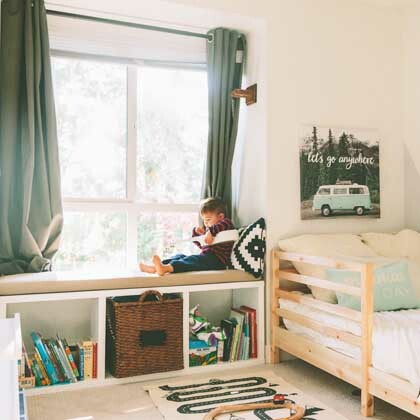 Given all the time we spend in our bedrooms, it's important to make sure they're as cozy and comfy as possible. We’ve got 6 simple tips to help inspire your inner designer and create your perfect bedroom sanctuary. Happy hibernating (and Netflixing in complete bliss)! Did you know that the average person spends 1/3 of their life in bed? 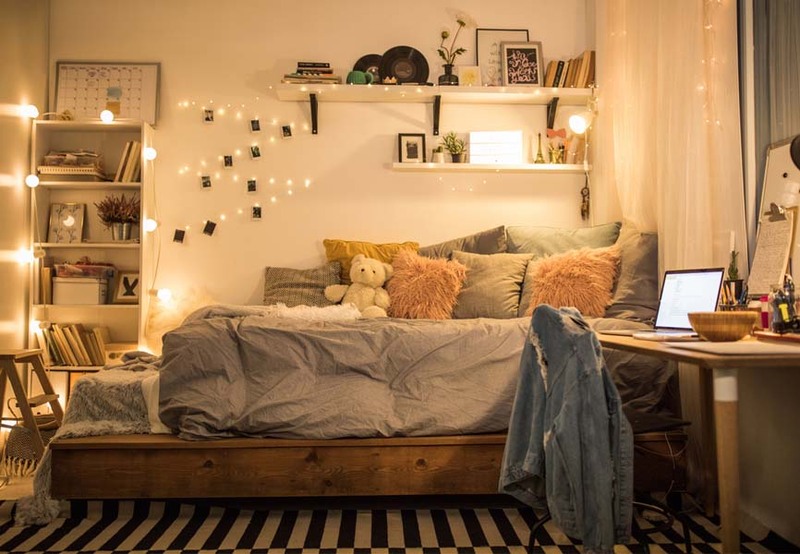 Add in extra time spent scrolling through your phone, choosing outfits, reading, and watching TV, and that's quite a bit of time spent in your bedroom. You might as well make it enjoyable. As we’ve said before, lighting can make or break the way a room feels. Cool lighting with blue undertones can make a room feel, well, cool, so opt for warmer LED light bulbs that give off a nice glow. Better yet, add a dimmer. For a simpler and less expensive change, switch up the bulbs in your bedside lamps. Don’t have any? 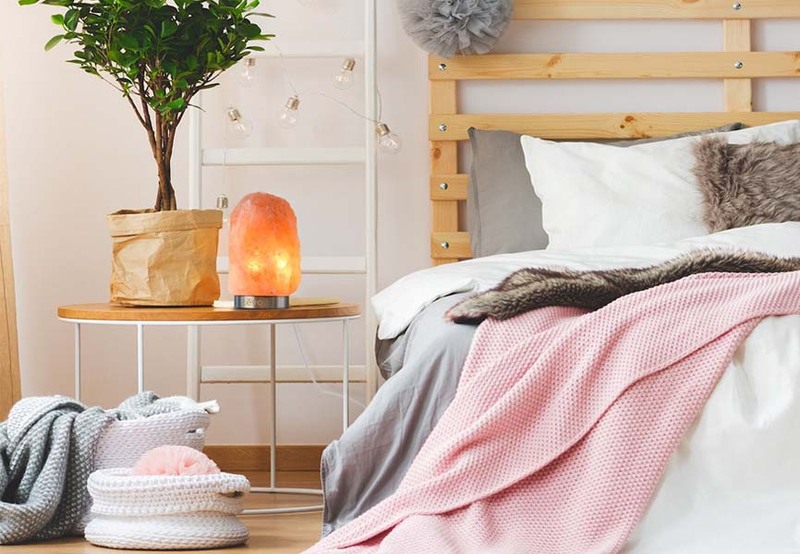 Check out Huff Post’s list of lamps under $50 to add warmth to your bedroom without having to change your overhead light. Not only is this an easy and affordable update that can literally change your room, but it can also be much more energy efficient. Win, win! For other ideas, check out Apartment Therapy’s post on ways to warm up your winter lighting, including looking for light-diffusing lamp shades or buying cute grown-up nightlights. 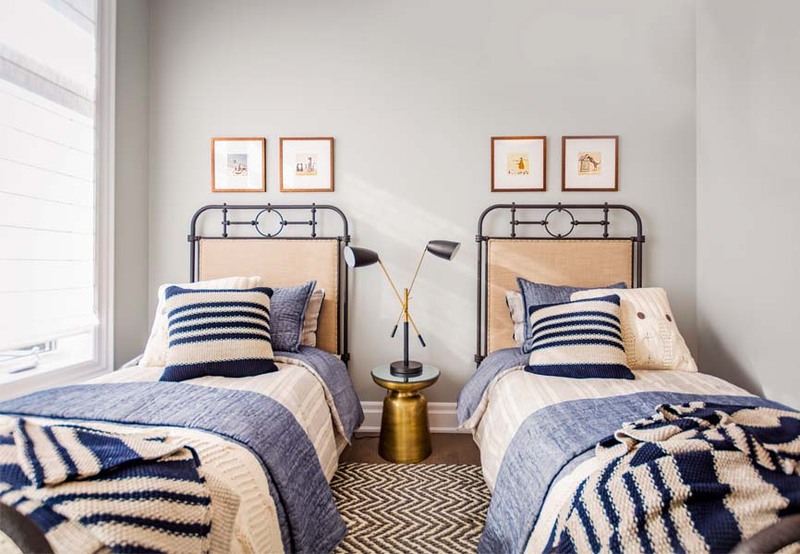 Image from Minto Communities' brand new model home at Glen Agar in Etobicoke, where the decorator uses knit blankets, throw pillows and a knit rug in mismatched patterns to add warmth and cozy up the space. Nothing says cozy quite like a big pile of knit blankets. This is your chance to pull out those chunky cable knit throws and faux furs and layer them at the foot of your bed for stylish flair and extra warmth when you need it. If you haven’t stocked up on this must-have accessory, check out HomeSense or Wayfair for great options that are reasonably priced. You’ll be glad they’re there when you’re deeply immersed in a good book, too. Of course, any time of year is the right time for throw pillows – another quick and easy update that can have a big impact. Trouva’s article on cozying up your home says: when it comes to cushions, more is more. Mismatch and experiment with different colours, textures, and designs to brighten up your space – even on the dullest day. Snuggle, anyone? 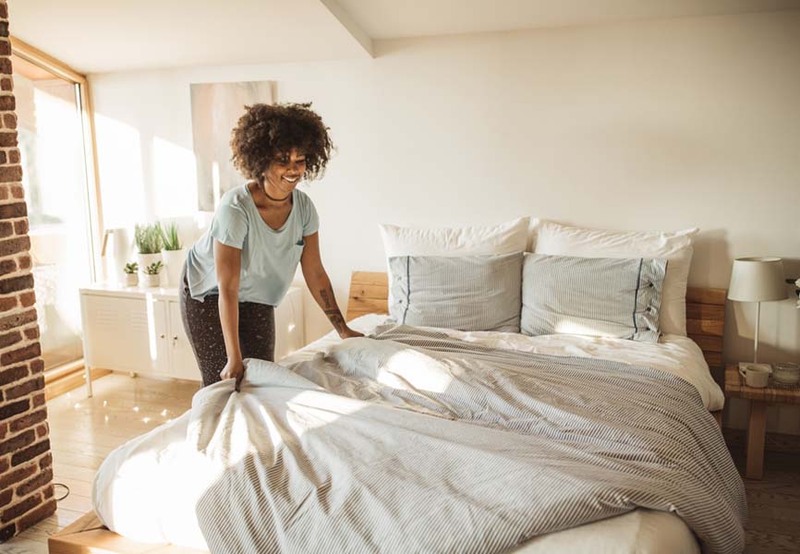 One of the easiest things you can do to add instant warmth and comfort to your bedroom is swap out your cool cotton sheets for heavier flannel or jersey ones. They hold onto heat a little better and you can find great plaids and patterns that feel rustic and chic at the same time. *Hint: Try tucking a hot water bottle under the covers at the end of your bed for a super toasty warm up for toes. There’s nothing worse than stepping out of bed onto an icy cold floor – especially if your floors are wood, ceramic or laminate. 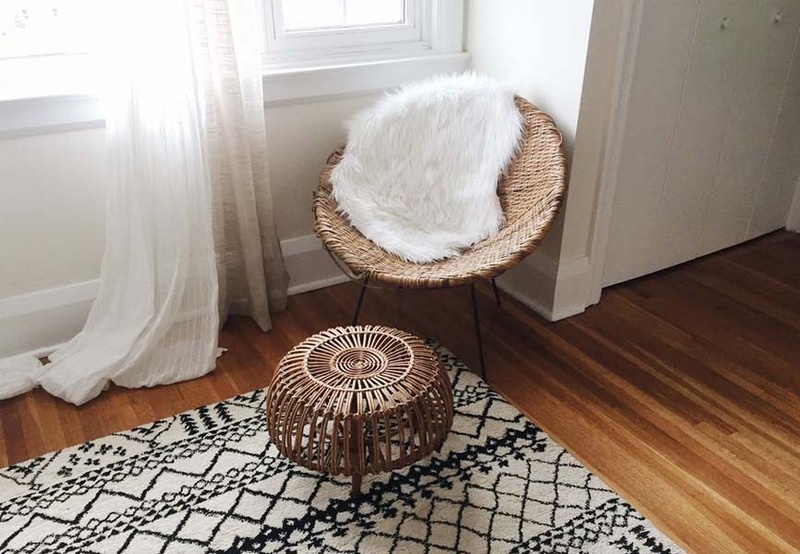 If you don’t have the budget for wall-to-wall carpeting or a large area rug, consider layering smaller rugs in strategic places – beside the bed, in front of your reading chair – to keep your toes toasty. It’s also a good idea to wear slippers! Keep a pair stashed under your bed or by the door so they’re always close at hand (and foot). The folks at the Spruce think it’s a good idea to switch out your drapery for heavier panels in the colder months. 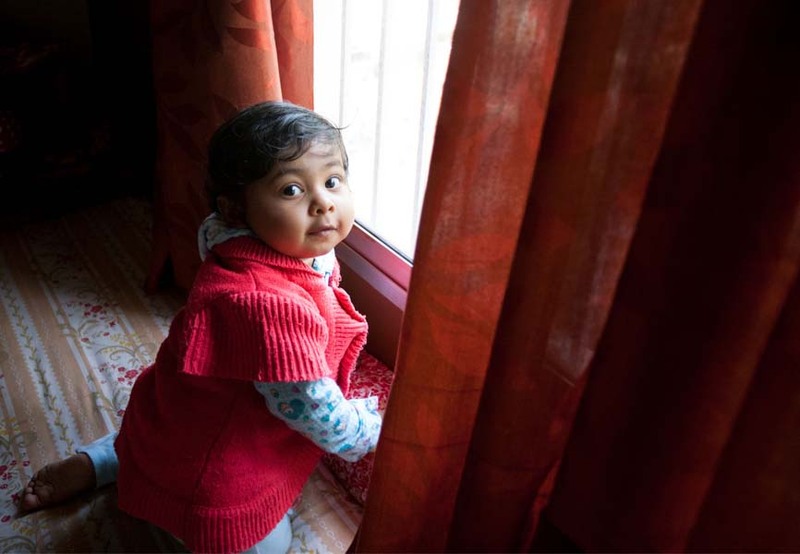 Since older window panes can allow heat loss through the glass, making a cold room feel even colder, thicker curtain material can help keep warmth in – especially when you close them tight at night. *Another tip: if you have a ceiling fan, they also suggest running it the reverse direction to push hot air downward and help keep the heat lower. You’ll know if it’s spinning in reverse if you look up and the blades are moving clockwise. While you’re snuggled up in your duvet with your warm LED lighting, light a scented candle or two and add a string of fairy lights. That little bit of twinkle can add a decidedly inviting ambiance that will make it even more difficult to leave. One last thing you can do to add that bit of warmth and coziness that may be lacking? Colour! With the drab sky above and sundown at 4pm, Apartment Therapy suggests adding a colourful piece of artwork or an inexpensive framed print to make your bedroom feel like a place you love to be. 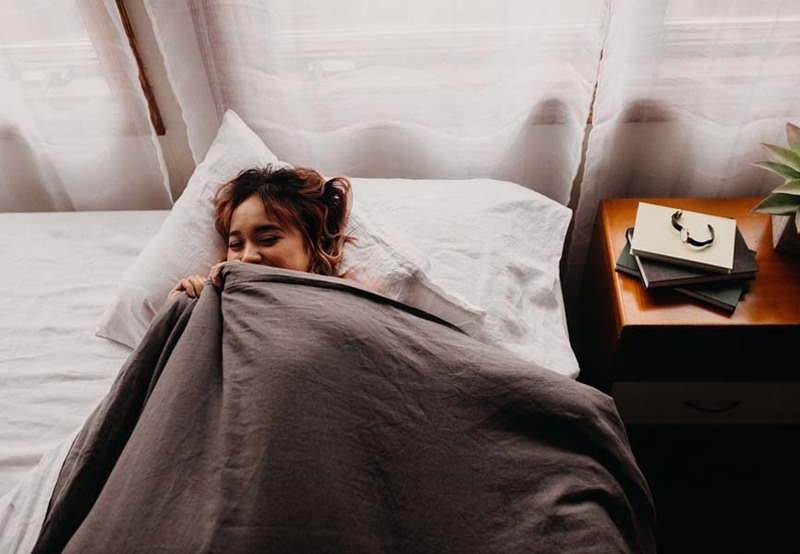 While you can’t always change the weather or how long you get to sleep in, you can change the way your bedroom feels. 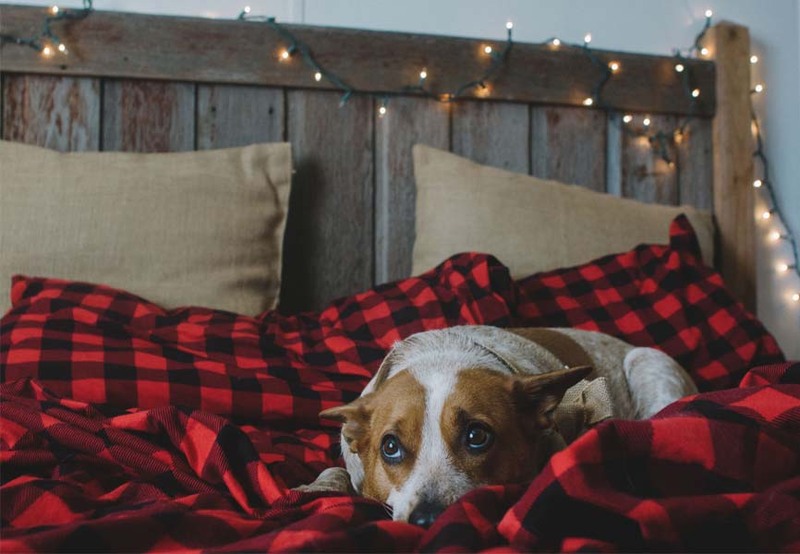 A few small updates – none of which have to break the bank – and you’ll create a warm and cozy retreat in your home or apartment that’ll keep you warm and toasty inside and out. 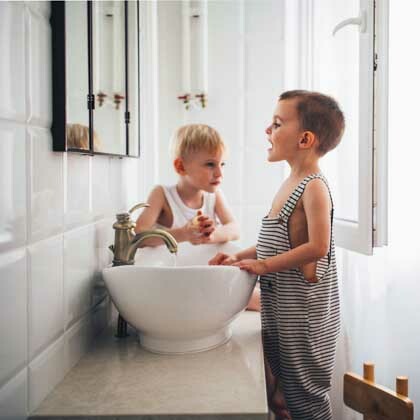 What is a “Jack and Jill” bathroom?